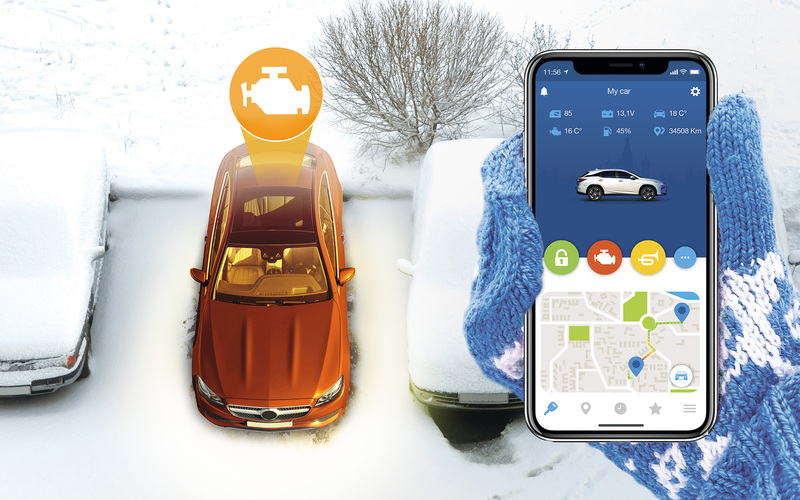 Comfortable remote engine start will let you warm up your car in winter or cool it up at hot weather without switching off the alarm system. 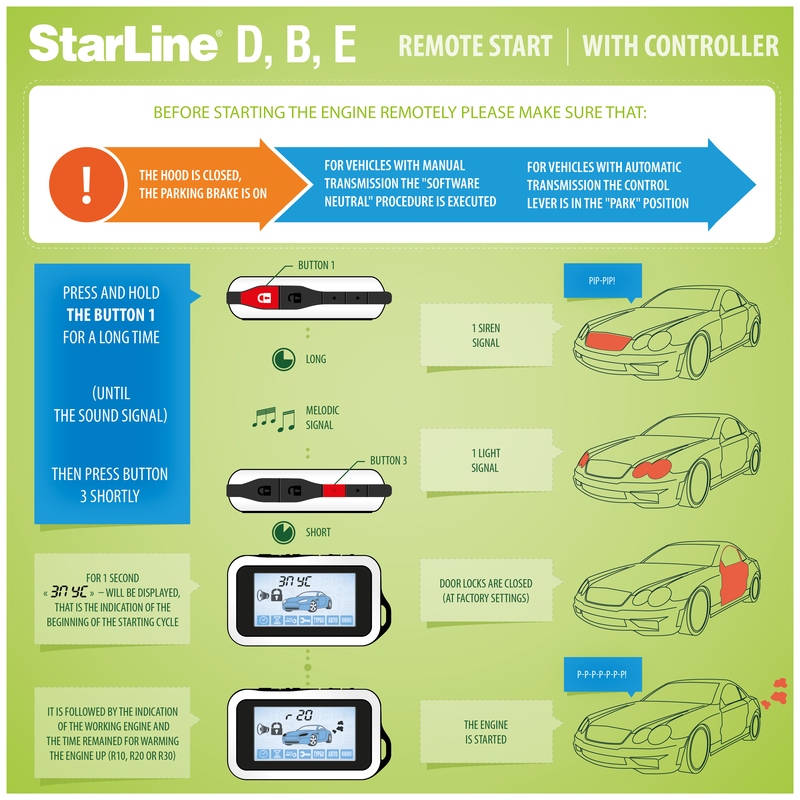 If you use StarLine Mobile App., you can control your car from any part of the world. You can start the engine of your car from your office when you are about to go home. If you are in a long trip, your car battery can discharge; to avoid it, you can start your car engine for 20 min. staying in any part of the world, when you come back, your car will wait for you ready to drive: the alarm system remains armed at remote engine start mode. 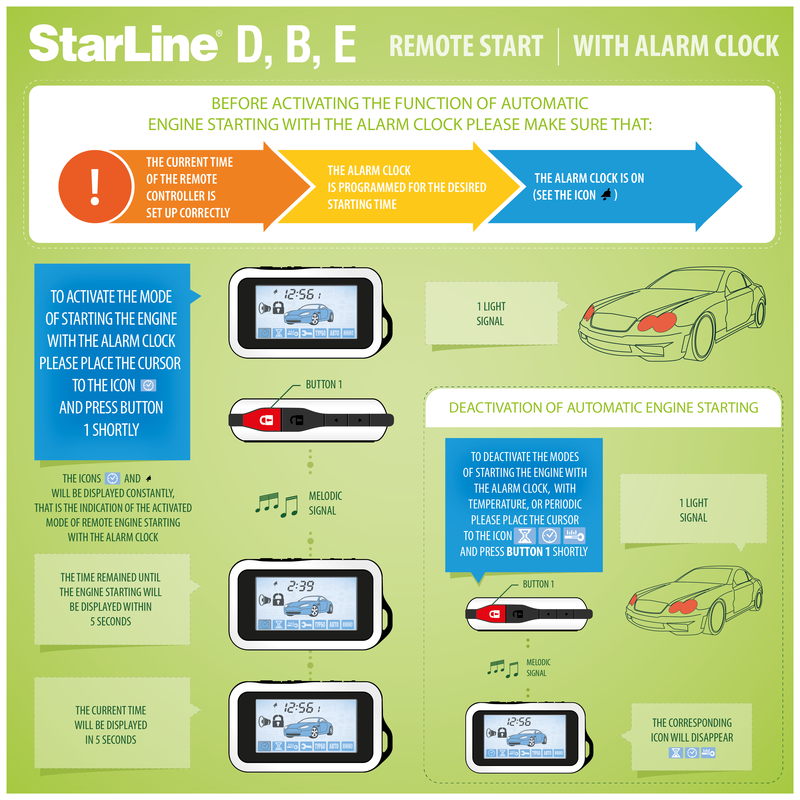 Smart StarLine systems obtain such functions as engine start by time, by temperature and by alarm clock. 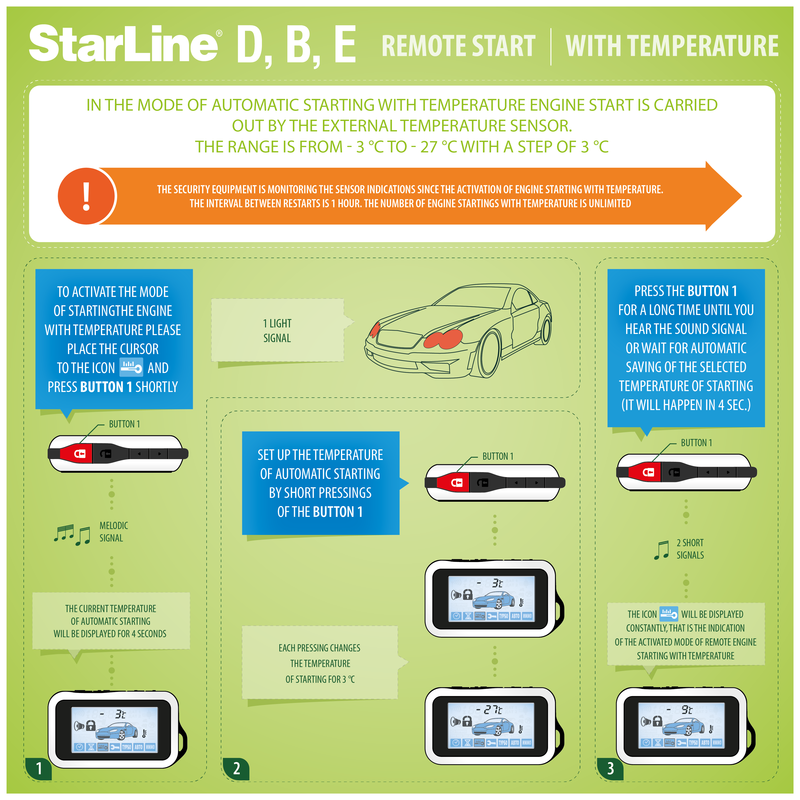 You can set up a convenient mode yourself, using our detailed instructions. 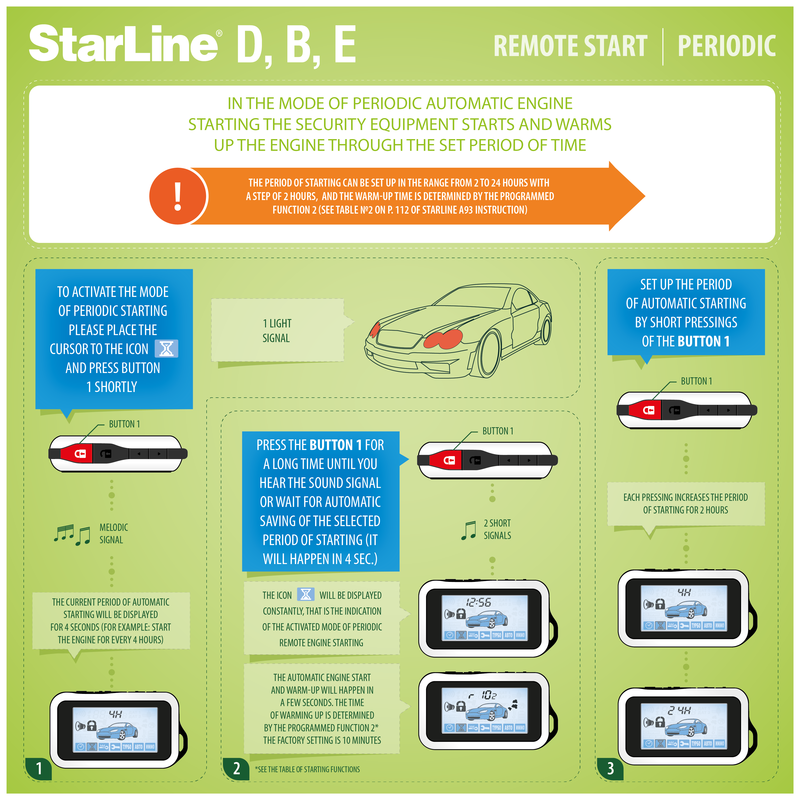 Remote Start makes your vehicle even more comfortable to use.